When we think about the future of manufacturing technology, we automatically assume that the majority of the transformation will take place in the West, in China — clearly in the highly industrialized world. But I am challenging this assumption after my travel to TEDGlobal in Tanzania last summer, where I held workshops on 3D printing for developing countries. I believe, that there is a chance for Africa and other emerging regions to leapfrog into a new production paradigm, because their current disadvantage in infrastructure may be a blessing in disguise. Manufacturing is undergoing a fundamental transformation, driven by additive production processes, where advanced industrial 3D printers will eventually produce many of our goods close to the consumer. Automated decentralized micro-factories will move into cities, a lot of logistics will simply disappear and be replaced by the flow of digital information. But anybody who is familiar with the reality of Additive Manufacturing today knows that this vision is still somewhat remote. And the pressure to evolve is not high: In the industrialized North, our current supply chains are excellent, we can have almost any product manufactured at low cost and shipped to any place on Earth. For existing products, it’s hard for Additive Manufacturing to compete with the quality and ubiquity of the existing production chain. 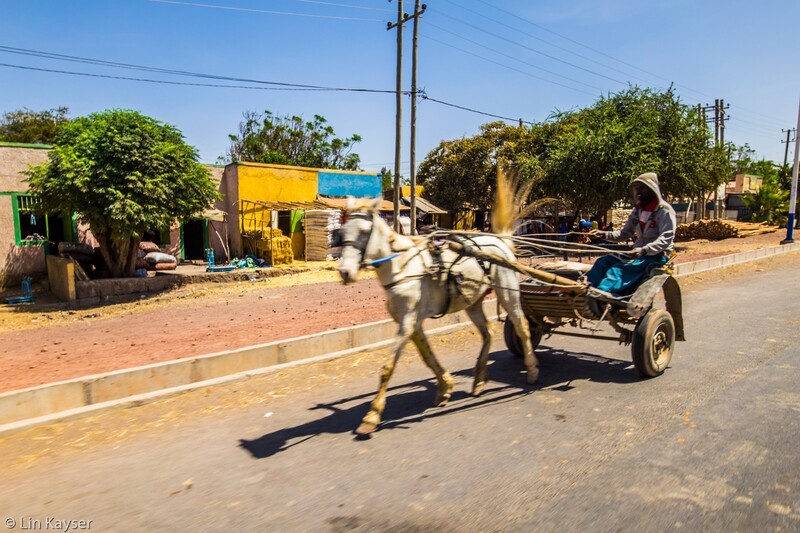 Unless you are in a region, where logistics are hard and the quality of locally sourced products is low — which is true for most of the developing world. If a part breaks in a remote village in Africa, it is very hard to find a spare. It will likely be expensive and has to be shipped all around the world. It may take weeks or months to get there — if it gets there at all. Imagine if you could send a file instead of a physical part through a digital supply chain. It would be transformative. Any part that is produceable in this way would be instantly available. People could collaborate across distances, even across borders, and have immediate access to the physical results of the team effort, independent of their location. Local entrepreneurs would no longer be constrained by the lack of availability of specialized parts or local talent — they could work with anybody in the world. I believe this scenario is entirely plausible, even with relatively inexpensive and simple 3D printing technology, that is readily available. The question is, how can we get started? In my mind, the key to this is setting up small decentralized micro-factories in a box. Think of a bunch of 3D printers and some basic machinery in a shipping container. 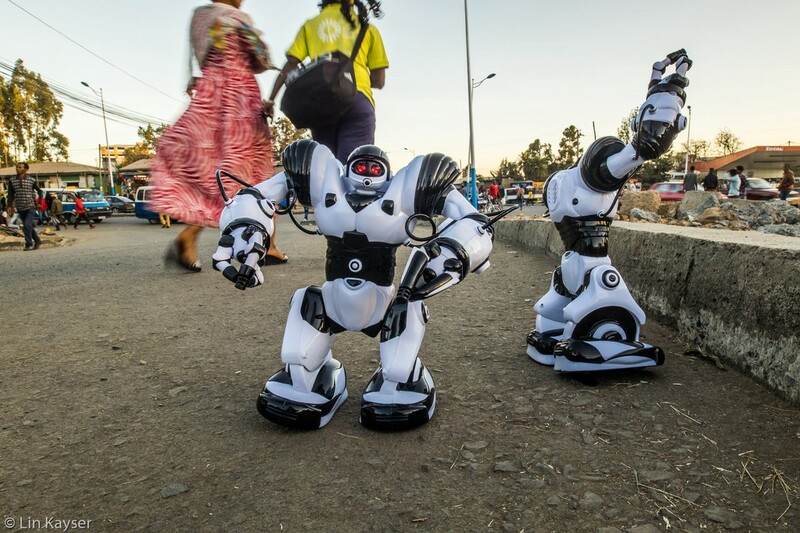 If these were deployed close to Universities, hubs of Entrepreneurship or just groups of local tinkerers that I’ve seen everywhere in Africa, I think a significant impact could be made in the transformation of ideas into physical reality. Many solutions to the issues in the developing world involve the creation of physical objects. Whether this is in medical applications, such as prosthetics, or in agriculture, where farming equipment needs to be built and maintained. Why not give local entrepreneurs, who are close to the issue, the tools to build the actual solutions. It may be another opportunity for leapfrogging. Just like the absence of telephone landlines lead to the ubiquity of cell service in Africa, which spawned world-class ecosystems for information services and mobile payments. Or the lack of an electrical grid is now pushing innovative decentralized renewable energy forward much faster than in the developed world. It seems that the same should be possible in manufacturing. We can get started in a small way and make a difference with relatively simple micro-factories; but it could be a harbinger of things to come, where digital collaboration and decentralized production replaces large complicated and centralized factories that are far away from the end user. It could be that Africa gets there first, wouldn’t that be amazing? This article was originally published on LinkedIn on April 29th, 2018.